The Murray Hill Dental Dentistry Scholarship was created to help students as they pursue a future degree in the field of dentistry. Amanda Zolcak is currently a sophomore at the University of Toledo. She is majoring in Biology with a concentration in pre-dental. She graduated from Avon High School in Avon, Indiana. Following high school, she was accepted into the University of Toledo/Case Western 7 year dental program. 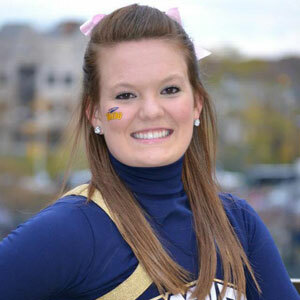 She is currently a member of the University of Toledo dance team, where she enjoys performing at all the home football games, basketball games, and various other community events. In addition, she is a member of Phi Eta Sigma National Honor Society and Campus Crusade for Christ. Amanda also loves to play soccer, hang out with friends and family, camp with family, and travel. She strives to become a dentist or orthodontist following dental school.